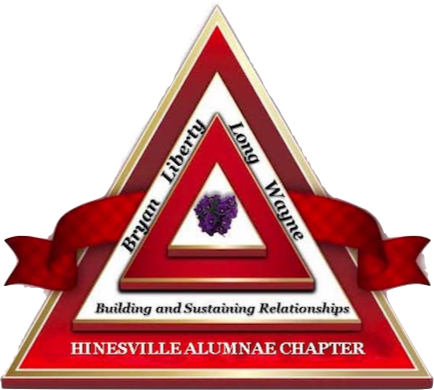 Thank you for taking the time to stop by and browse the website of Hinesville Alumnae Chapter of Delta Sigma Theta Sorority, Incorporated. To find out more about our planned events and activities, please do not hesitate to contact us. To learn more about Delta Sigma Theta Sorority, Incorporated and the requirements for membership, please visit the National website at www.deltasigmatheta.org.